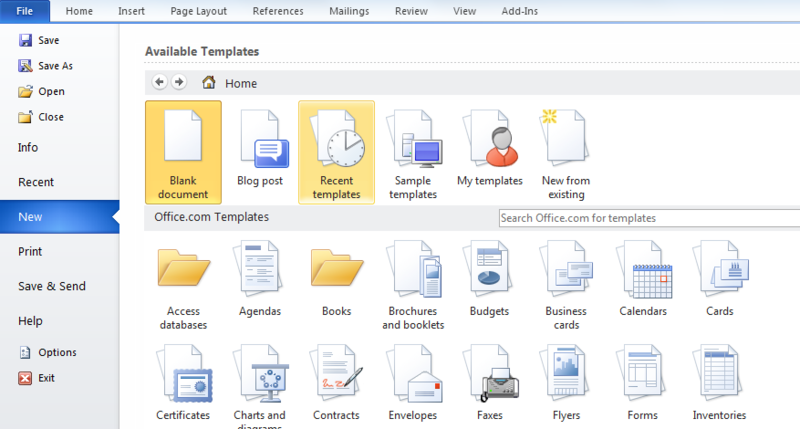 Microsoft makes it easy for users of their Office suite to create all sorts of documents and cards by providing a myriad of pre-designed themed templates. You don’t need any design skills, talent or experience to make beautiful business cards, flyers, invitations or thank you notes for miscellaneous occasions. 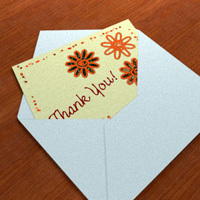 Creating captivating thank you cards in MS Word 2010 is as easy and quick as creating any other Word document. 1) Open a new MS Word 2010 document. 2) Click on the File ribbon and then select New. Once you do that, the Word will present you with a plethora of MS Office templates. You will find there, for example, pre-made templates for creating brochures and booklets, budgets, lists and to-do checklists, inventories, forms, letterheads, resumes, and much more. Presentations play an important role in different spheres nowadays. Business professionals, freelancers, small businesses and corporations, teachers, students, public speakers, project managers, and many others use presentations on a regular basis. Microsoft PowerPoint is probably the best known and most popular software program for creating and editing slideshows. It is packed with tons of powerful features which allow for creating and publishing striking and effective presentations. However, most professional presenters are always on the lookout for additional tools and presentation tips that will help them differentiate their presentations and make best possible impression. If you are one of them, here are three easy to use and free tools that will help you spruce-up your .ppt and .pptx files. SlideShare 3D is a fully free web-based tool that enables users to easily turn any Slideshare presentation into a 3D slideshow. These 3D slideshows work on all modern browsers, mobile phones and tablets, including touchscreen devices. The tool is very easy to use.